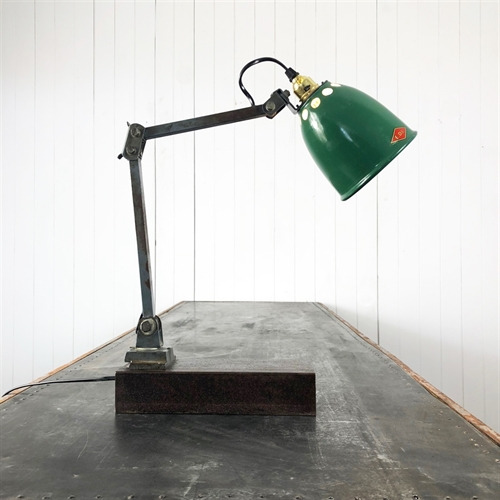 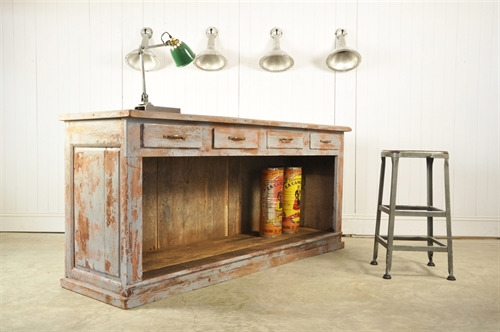 Memlite Desk Light / EDL - Original House – Decorative Antiques, Vintage Industrial Furniture and Lighting, Cotswolds. 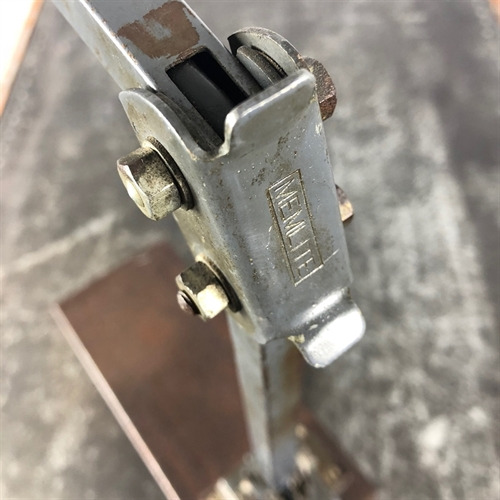 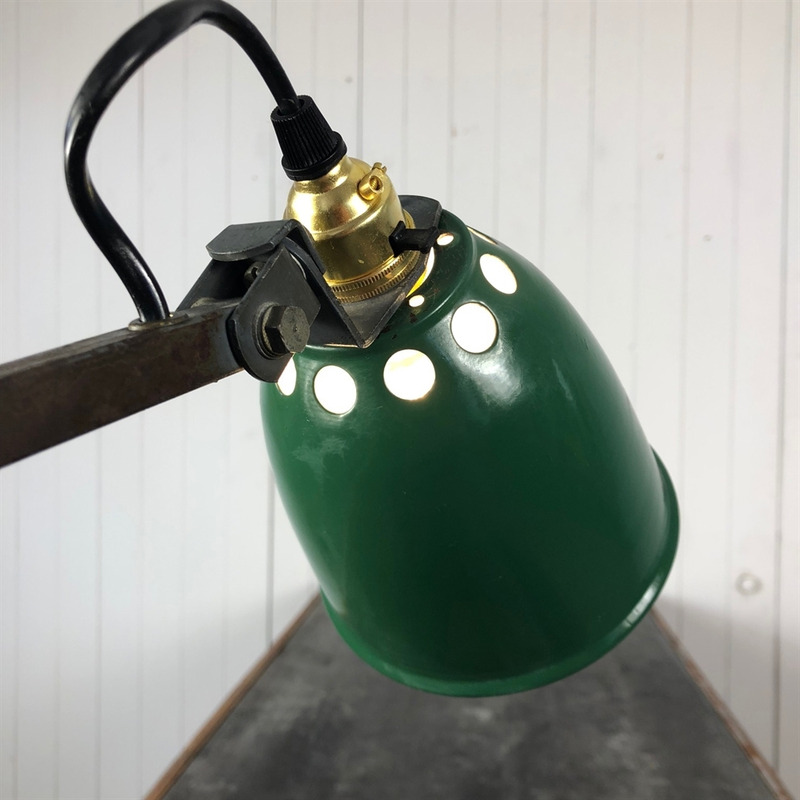 This 1950's lamp would have originally been mounted to a factory machine such as a metal lathe - designed to be very sturdy and to hold its position. A classic piece of mid century English Industrial Design. 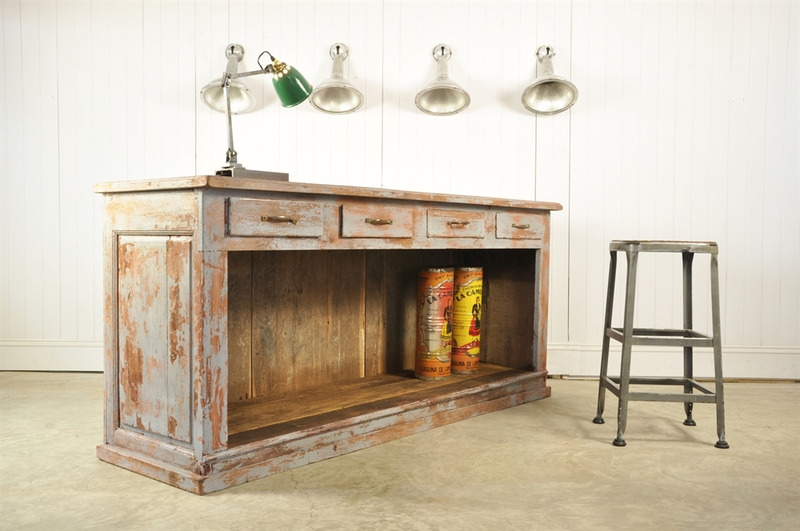 We have left this in its original condition with great natural patina to the paintwork. 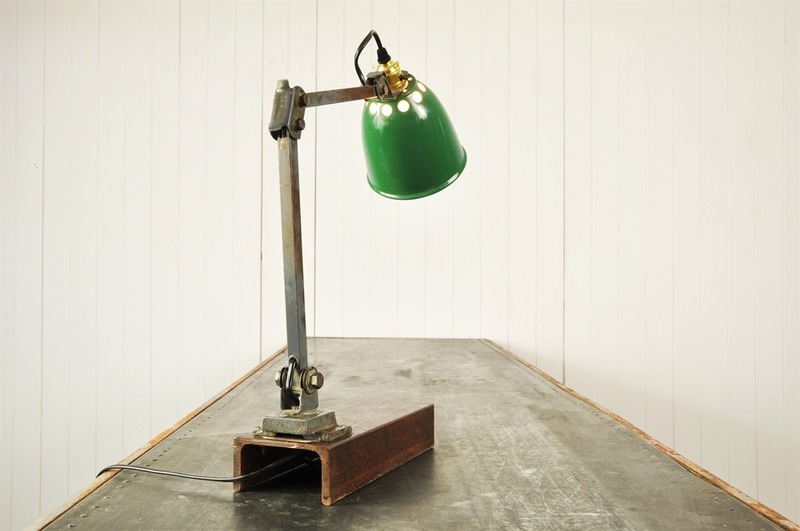 A few bumps and scrapes but rewired with a new bulb holder and PAT tested. 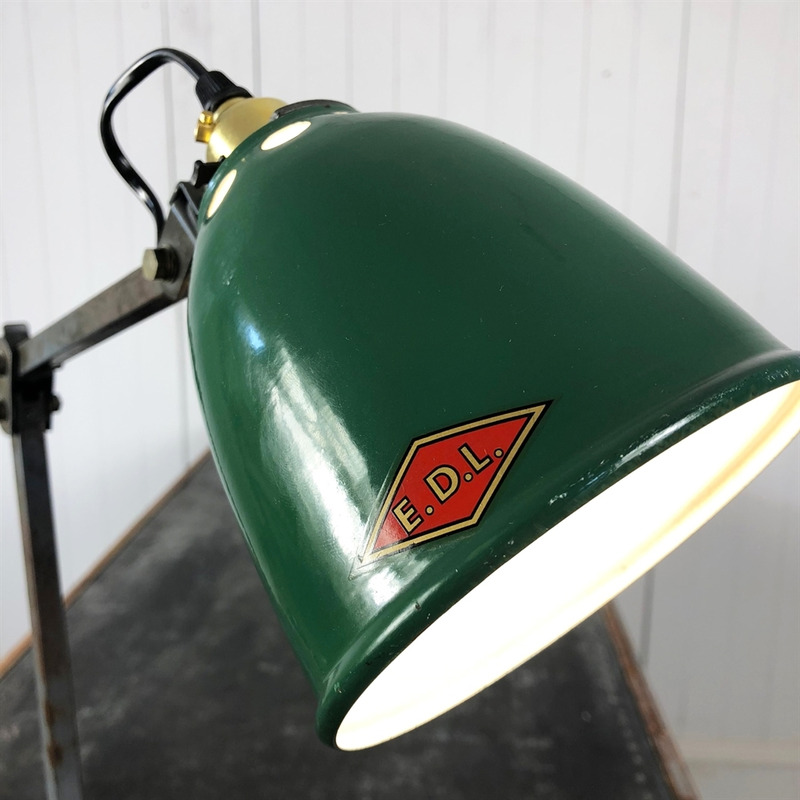 The green enamel shade is in particularly good condition for its age. As it stands in the pictures 50 cm h / 13.5 across the shade.